All You Need to Know About Real Estate!!! 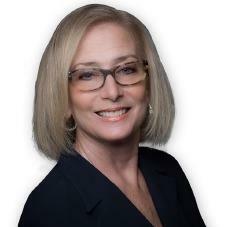 Ranked in the top one percent of all Realtors nationally, Lisa is a consistent top producer. A member of the Chairman's circle and Legend award recipient, representing 15 consecutive years as "Top Agent". A Florida resident since 1980 and working all areas of Broward & South Palm Beach Real Estate, since 1985. Lisa knows every inch of the market. A full time Real Estate professional for over twenty-five years & with ten years prior experience as a marketing executive for a national company. Lisa is unique among the areas Realtors, taking an aggressive approach to marketing Real Estate. Using state of the art technology, internet exposure, and all aspects of print media, gives Lisa and her clients the edge that makes the difference. An extremely able and experienced negotiator, both buyers and sellers are grateful to have Lisa Flickstein on their team. TOP ONE PERCENT OF ALL REALTORS NATIONALLY. OVER TWENTY-FIVE YEARS, FULL TIME REALTOR. FULL TIME STAFF TO SERVE YOU. Lisa is a Certified Relocation Specialist. Whether you are moving into or out of South Florida, The Flickstein Group is here to help you each step of the way. We would be happy to do an outgoing market analysis for you if you are leaving the area or send you a relocation package if you are planning a move to sunny South Florida. Put The Flickstein Group To Work For You! Broker/Associate Group Manager - With 16 years of Real Estate experience & 6 years in Real Estate Management , Richard is a vital asset to the Flickstein Group. His organizational skills and constant communication with our clients, affords us seamless transactions. Being a Broker also assures the group to be on top of all New changes in Real Estate laws & Procedures. Coordination of our Buyers Assistants, and the guidance to them is instrumental in The Group all working perfectly together. Valuable Members of The Flickstein Group , these seasoned professionals Specialize in working with Buyers of Residential & Commercial properties, as well as all aspects of Leasing. Their attention to detail and follow up are qualities in a Realtor our clients have come to expect and deserve. Another valuable asset is their in depth knowledge of New Construction communities and Resale housing inventory, giving our Buyers the education they need to make a thorough & wise decision. Each Specialist's tenacity and thirst to satisfy, enhances their ability to perform above and beyond Buyers expectations.